You might be looking at our Redmere cables and saying, What’s so special about Redmere cables? Isn’t that just another way to make me spend money? It’s so much more. We wouldn’t blame you for thinking that Redmere cables are just a marketing ploy; after all one of the technology’s early adopters has a monstrous record for overcharging customers. But trust us, there’s a reason to use Redmere cables. They can make a difference in so many ways. Redmere technology uses a super-low-power chip inside the connector that processes the signal. It’s like having an HDMI-to-Cat 5 converter right inside the cable. The signal is strengthened and normalized so that it can travel long distances over super-thin cables. This can make a difference if you’re having signal issues from your receiver to your TV, too — if you see HDCP messages or “no signal” on occasion, it’s probably from a weak connection between your device and TV. Redmere cables can make that connection more stable. 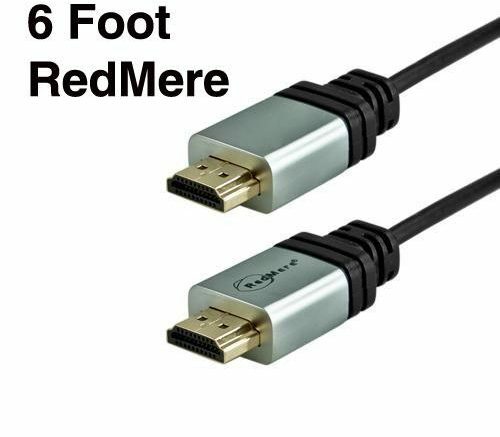 If you’re looking to go long distances, Redmere cables are the way to go. Their smaller size makes wall fishes easier, and Redmere cables can go up to 140 feet without needing a repeater. Redmere cables aren’t for everyone… and in many cases a plain-Jane HDMI cable will work just as well. If you’re having signal problems or distance issues, though… they are perfect. Is SiriusXM Radio Still a Thing? Why Use a Third-Party Installer?